Hiya Stephane - Lovely looking van you have there. Very tidy! I had no luck finding electrical diagrams so yeah I'd like to see what @4AGEMAD has that might be of use. Good to know other passionnate owners ! Which version do you have ? With a petrol engine or a diesel one ? 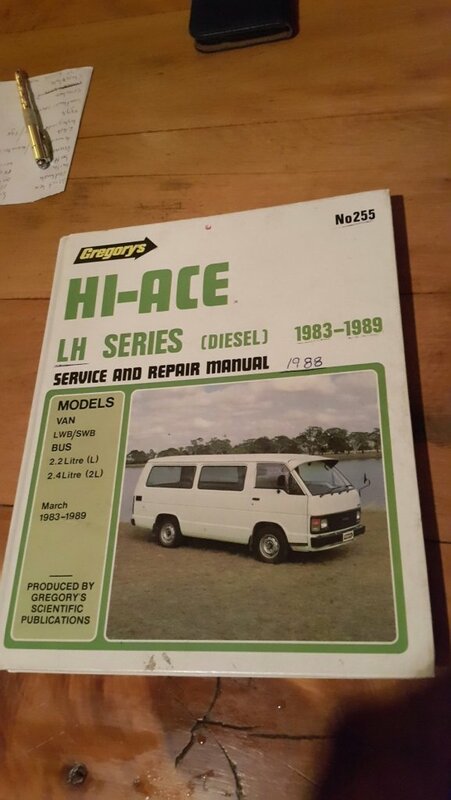 If you got the diesel one I have the entire manual about the 2L engine. In case your engine is the petrol one, it should be the 4Y that I previously owned in OZ. I don’t know if I still have this engine manual somewhere but it might not be difficult to find. As the bodies are quite the same I can also share my upgrades. I can scan bits that might be of use to you. Just let me know.